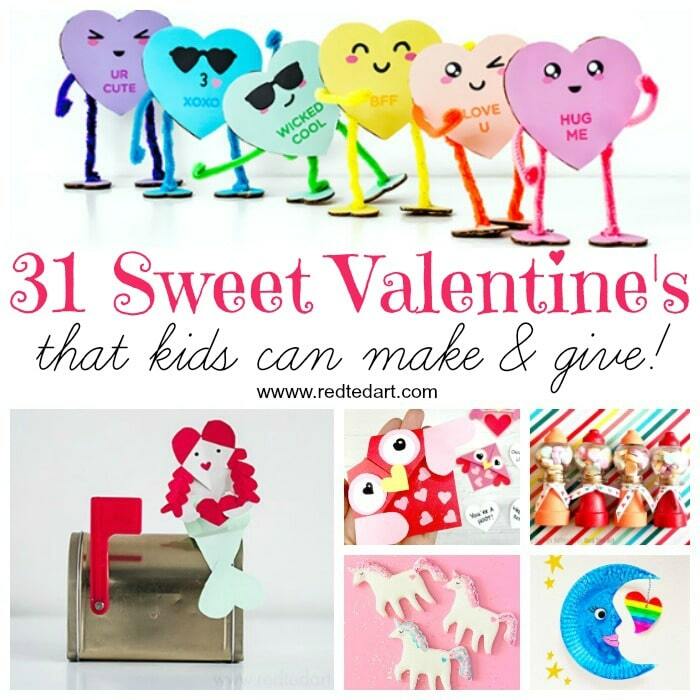 Every year I run a special “guest post” series here on Red Ted Art called 31 Days of Love! The idea is to share the love and introduce you to (to you) new and wonderful blogs from around the web. 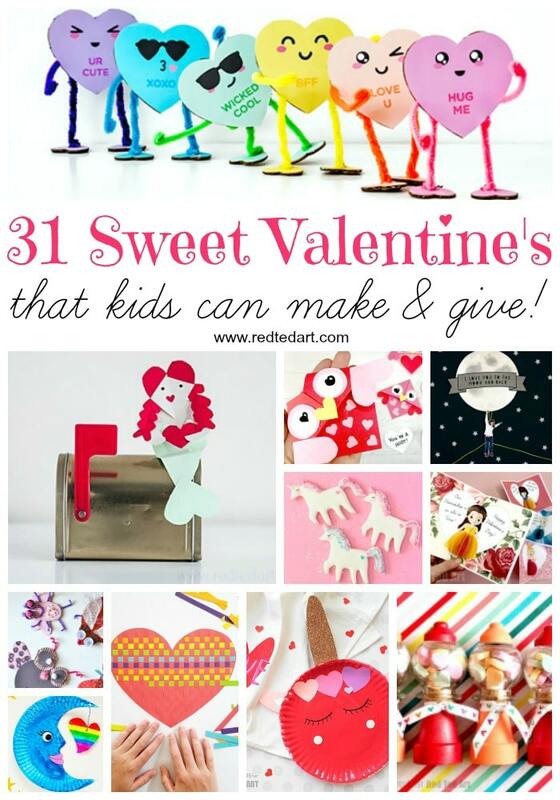 This means, that every year, I don’t just 3-4 new Valentine’s Day Crafts for you.. but aroun 31 new Valentine’s Day Crafts for Kids!! 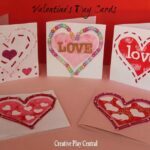 Yep.. that is quite a number.. and though I update all my collections of Valentine’s Day Crafts (see a list of collections below), I particularly look forward to this round up: Our New Valentines Ideas from 2019! If you are reading this in the distant future.. don’t be put off by 2019… these are ideas are wonderful and pretty certain they will come beloved year in year out. Be inspired. This is what Valentine’s Day 2019 looks like!! Enjoy! 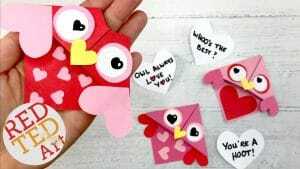 What a Hoot – Valentine’s Owl Corner Bookmarks – you can’t have a Valentine’s Collection with out a new Corner Bookmark by, well, me. We do love making bookmarks.. and I do think these little owls would make a fabulous classroom project.. don’t you? 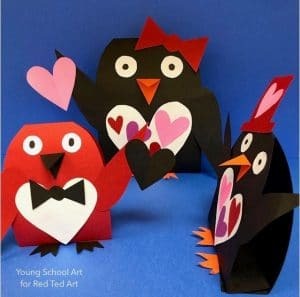 Easy 3d Paper Penguins for Valentines are created by the new Red Ted Art contributor Vin from Young School Art – he is particularly active on Instragam and has a fun feed to check out. 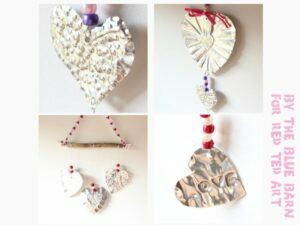 Love that is crafts are “classroom tried and tested”. 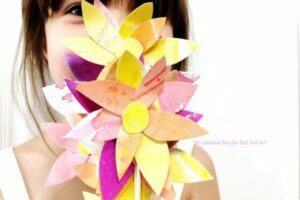 Easy Painted Paper Flowers by Oh Creative Day. If you want an injection of happiness, visit Shannon’s instagram feed (well AND blog) for easy, fun and above all CHEERFUL creations. 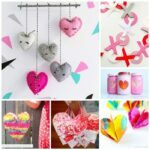 Love creating things out of heart shapes?! 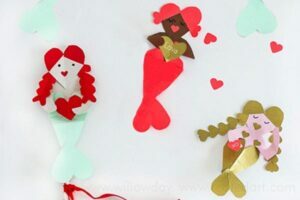 Have a go at these oh so cute HEART Mermaid Valentines. So fun! 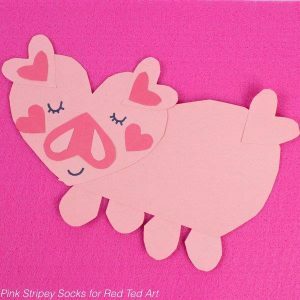 Similarly we have some adorable Paper Heart Piggies. Aren’t they cute! How about some Rainbow Paper Fun? 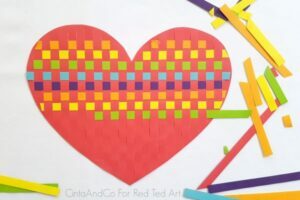 With this great Rainbow Paper Heart Weaving activity? 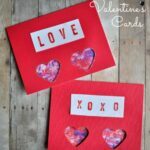 These BFF Conversation Heart Buddies (with free printable) are by Barley & Birch – my daughter was all over them straight away and simply had to have a go. 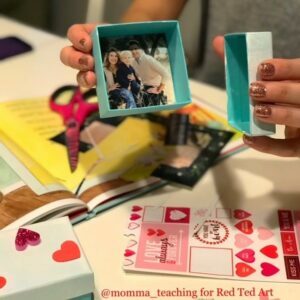 Amanda’s website is like a beautiful crafty instagram feed – but best of all – not JUST beautiful, but DO-able projects too! 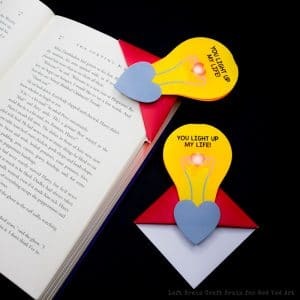 Another super fun PRINTABLE Valentine’s Day Craft are these LIGHT UP MY LIGHT Corner bookmarks – make them “as is” or turn this into a TRUE STEAM project for Valentines by adding your own Circuit to it! 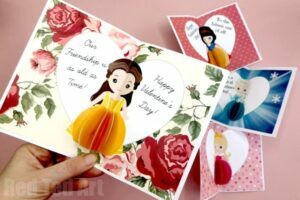 Seriously this Pop Up Princess Cards are just TOO cute!! 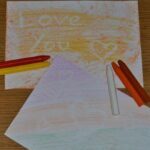 Valentine’s Climber: Love you to the moon and back! Oh my.. make your little ones climb all the way to the moon with this rather cute craft by Lotta Magazine. Makes for a great Steam Valentine’s Project too, don’t you think?! 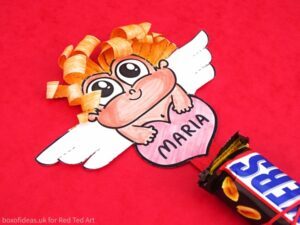 One free printable.. lots of way to “use” it – use this Cupid Printable as part of a Valentine’s Treat, as a bookmark, Valentine’s Card or classroom decoration! Or how about some Valentine’s Day Friendship Bracelets with cute gift cards?! You can never go wrong with an adorable Egg Carton Flower Bouquet whatever time of year it is!! 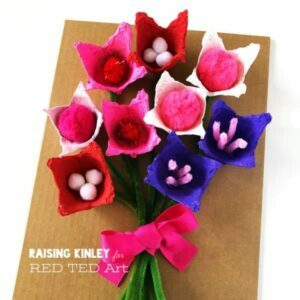 This is a sweet craft by regular contributor Raising Kinsley. Another blogger come instagram with a feed bursting with colour! We love a Recycled Love Bug! Nothing quite like turning the “old” into something gorgeously new! 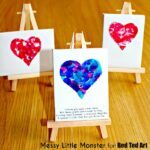 Making with Mommy has done just that with these fun and creative love bugs. 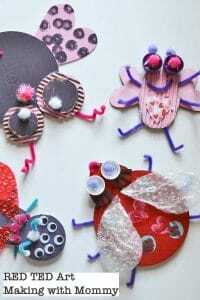 Not only has she made these fantastic love bugs.. but has a whole collection of recycled cardboard creatures. From Amazing Owls to Scaled Fish! 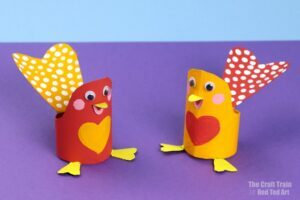 We do love The Craft Train – so many great ideas – especially lots of fun with Toilet Paper Rolls like these great Paper Roll Love Birds! Fab. Use old foil trays (nicely cleaned!) 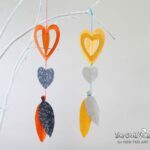 to make these gorgeous Foil Art Heart Mobiles! 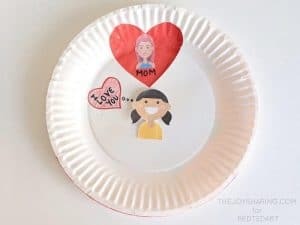 Again we share this super fun Paper Plate Valentine’s Wheel! So cute! 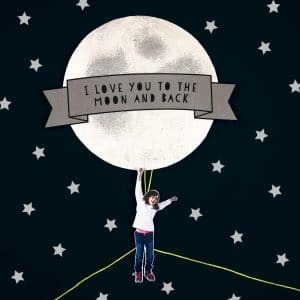 And another great “to the moon and back” by regular contributor Creating Creatives. Love how much joy and energy eminates from these Paper Moons. Just lovely. 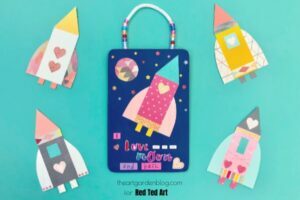 Super cute and easy Rocket Wall Hangings – want something a little different? 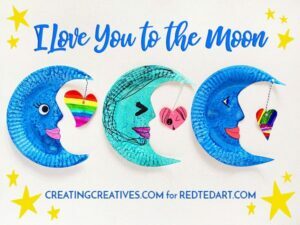 How about these lovely wall hangings (they would actually make great Valetine Cards for Kids too) by The Art Garden Blog – where crafts meet art!! Process crafting at it’s best! 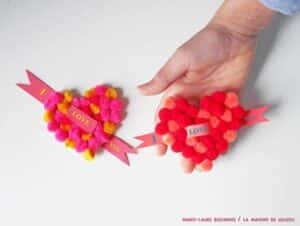 Easy Pom Pom Hearts to Wear by the oh so stylish La Maison de Lou Lou! Here you will find simple, stylish designs bursting with colour. 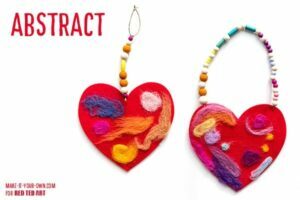 More fun with Needle Felting with these Needle Felted Heart Decorations. 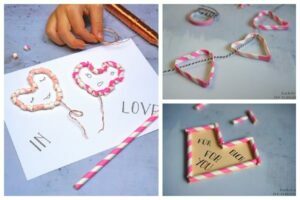 Make it Your Own is another one of those blogs that always has something super fun and original AND theri kids often feature in their fantastic how to videos. So cute! 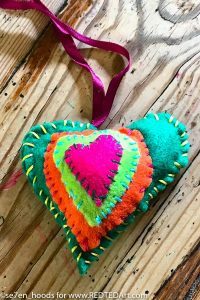 Teach kids to sew with these gorgeous Felt Hearts – they would make great Back Pack Charms too! 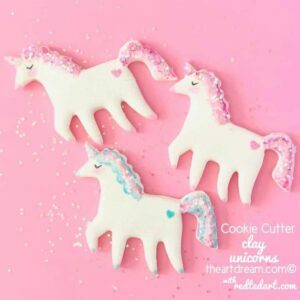 Magical Clay Unicorn Ornaments by the equally magical The Art Dream. Where design meets crafts.. but in a truly accesible and easy to follow way. Love all of John’s work! 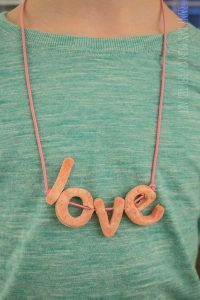 This innovative Microwavable Salt Dough and LOVE necklace is by the oh so clever Rainy Day Mum – a fantastic site packed full of activities and educational resourves. My kids LOVE Gumball Machines.. the promise of all those colourful sweets. 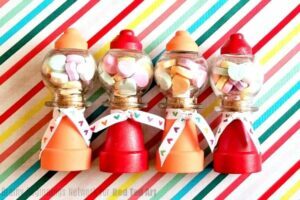 Why not give them a mini DIY Gumball Machine this Valentine’s? Created by the talented Brainy Beginnings Network, which is back full of quirky and original ideas! 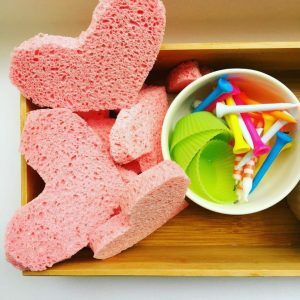 Heart Sponge Cakes – process art and sensory fun for little ones! 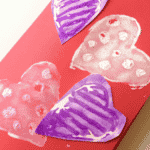 Another adorable Valentine’s Day Activity for Preschoolers is this “The Kiss Book” Craft & Story time. So sweet and a great way to “carry” mums love around with you wherever you go! 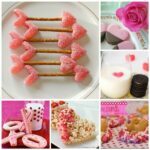 Check out all our previous rollections of Valentine’s Ideas sorted into different categories!